If you’ve got the right ingredients, this Quick & Easy Cheesy Cheddar Asparagus Frittata will save you on pretty much any occasion you’re entertaining. It’s simple, savory, and it’s also fool-proof! Eggs take on any flavor you incorporate with them, and this dish is no different. 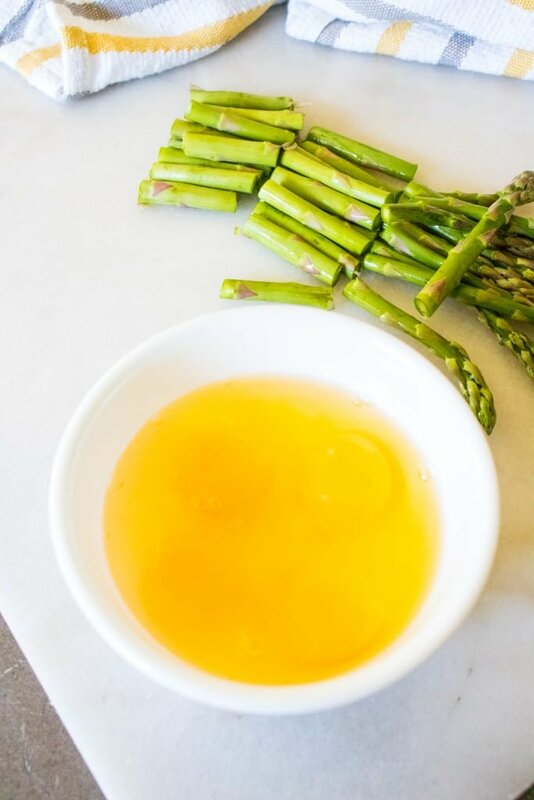 Filled with light, airy eggs, sauteed asparagus, and rich creamy cheese- it’s perfect for breakfast, brunch, or even a last-minute dinner. Growing up, I loved Saturday mornings. It was the one day a week my Mom got up and made a full on meal of egg-based deliciousness. 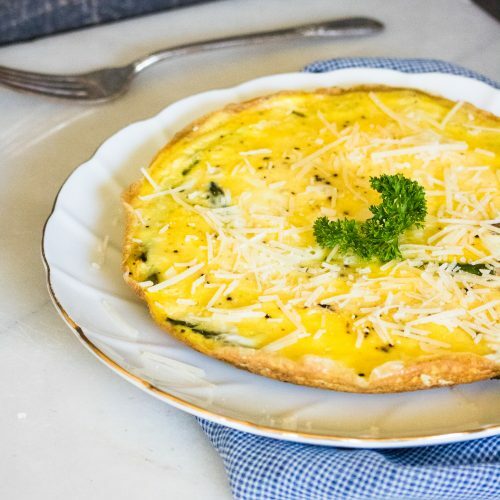 I’d later come to know it by the name ‘brunch’, but her omelettes were legendary and occasionally we’d be treated to an extra special treat- a homemade quiche. It was great, she’d throw in leftover veggies she’d saved throughout the week, and whatever leftover meat she had on hand. No meat? No problem, those bad boys were yummy either way. Then I met and married my Italian husband, and we went to visit his Italian Nonna. Since we stayed the night, naturally she made us breakfast the next morning. Something she called a frittata, but it looked to me like a cross between an omlete and crustless quiche. What is a frittata?? Well, I learned that it’s an Italian egg-based dish that’s basically an open-faced omlette and in Italian frittata loosely translates to ‘fried’. It’s a powerhouse meal that’s quick and easy, perfect for morning noon or night, and a great way to use up leftovers. Stir your favorite veggies, meats, and cheeses into the beaten eggs and let the skillet and the heat do the heavy lifting for you! After learning how to make the dish from my husband’s Nonna, I’ve since learned to adapt it to our own tastes. 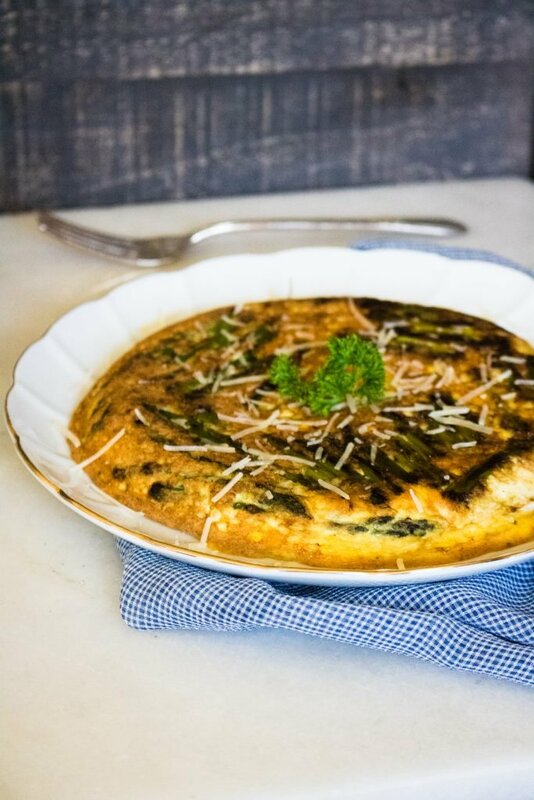 My favorite version is by far this Quick & Easy Cheesy Cheddar Asparagus Frittata. A good brunch doesn’t get any better than it’s best dish. We keep our family’s taste buds craving more by using some of the best ingredients around. For example, to get the creamiest beaten eggs with a light, airy finish in your frittata, I highly suggest going with Eggland’s Best. Plus, you can feel good knowing your family’s getting extra nutritious eggs- they have as much as 6x more vitamin D, 10x more vitamin E, and double the omega 3s compared to ordinary eggs. 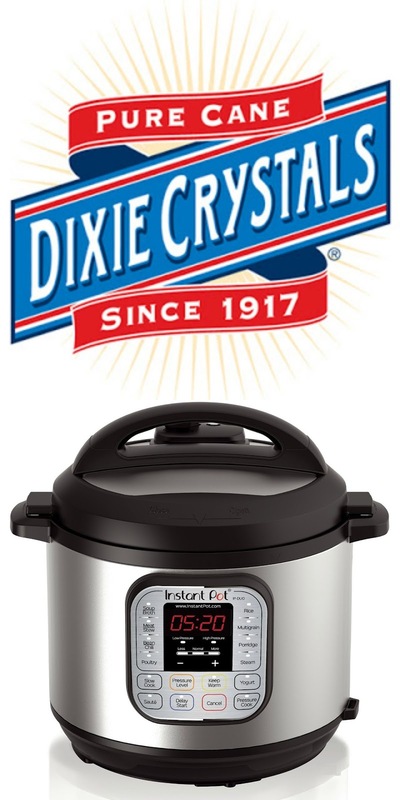 Why settle for less than the best?! 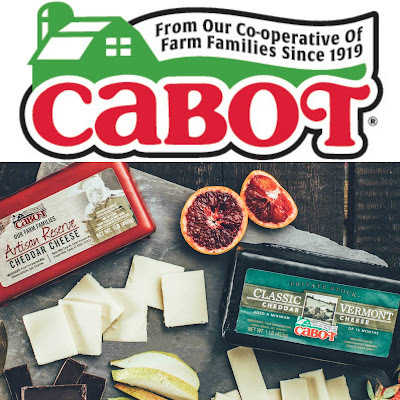 Cabot Creamery makes the best cheese around, and in the U.S. For this particular dish, we used their Farmhouse Reserve cheddar from their Legacy Collection. Although, their horseradish cheddar could be subbed and add a nice little zing to this savory brunch entree. Michigan asparagus is the only asparagus for me. 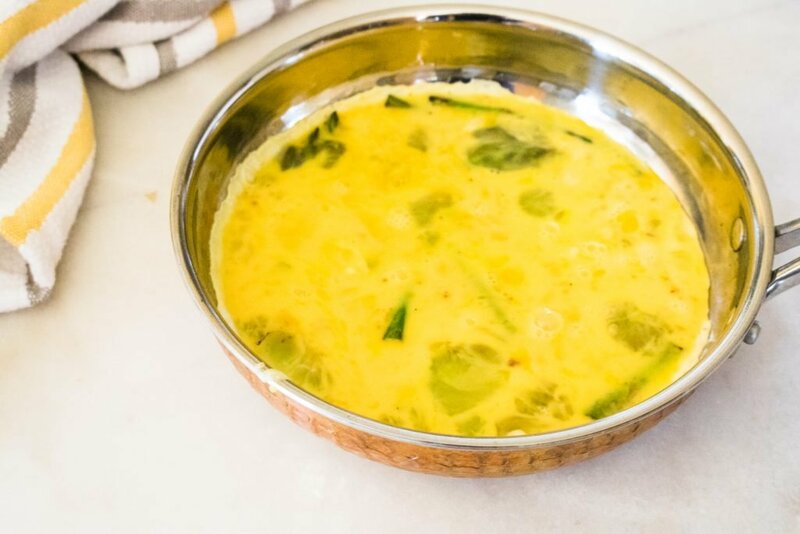 It’s known for its hand snapped freshness and being locally grown in the U.S. It’s the most flavorful we’ve found, and the quality is always superb making it a must have for me for my Quick & Easy Cheesy Cheddar Asparagus Frittata. 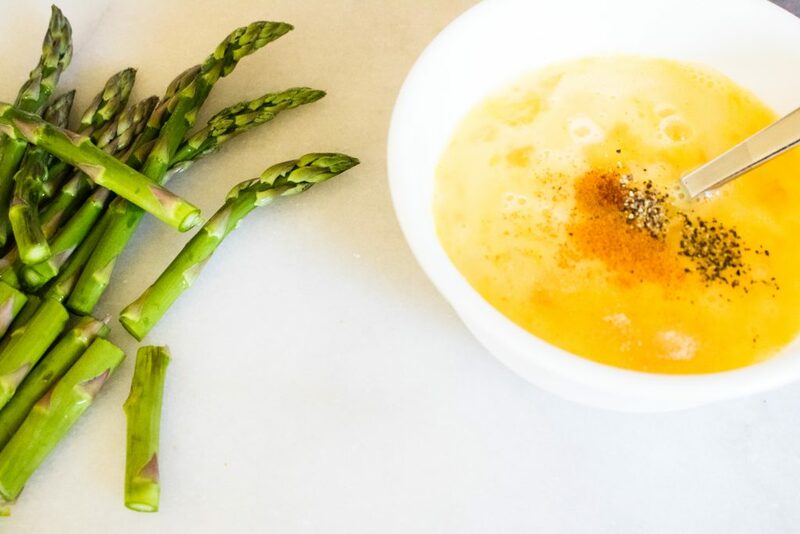 From my husband’s Nonna’s kitchen, to your brunch table this Quick & Easy Cheesy Cheddar Asparagus Frittata is easy enough for an level of cook (even a total novice), but so good that- even though it’s straightforward enough- it’s destined to impress all of your guests. Spray a non stick skillet with cooking spray. Heat the pan on the stove top over medium heat while prepping the other ingredients. Cut the asparagus into 1-2" pieces, then add them to the heated pan, sauteeing for 3-5 minutes and turning halfway through. Crack the eggs into a small bowl, use a whisk to beat them together until creamy. Whisk in the seasonings, just until evenly incorporated. Pour the seasoned eggs evenly out over the asparagus, and let the mixture cook for 3-4 minutes. Once the frittata is almost cooked through, place a lid on the skillet, remove from heat, and let the frittata continue cooking naturally. To serve the frittata, run a butter knife around the edges to release it from the pan. 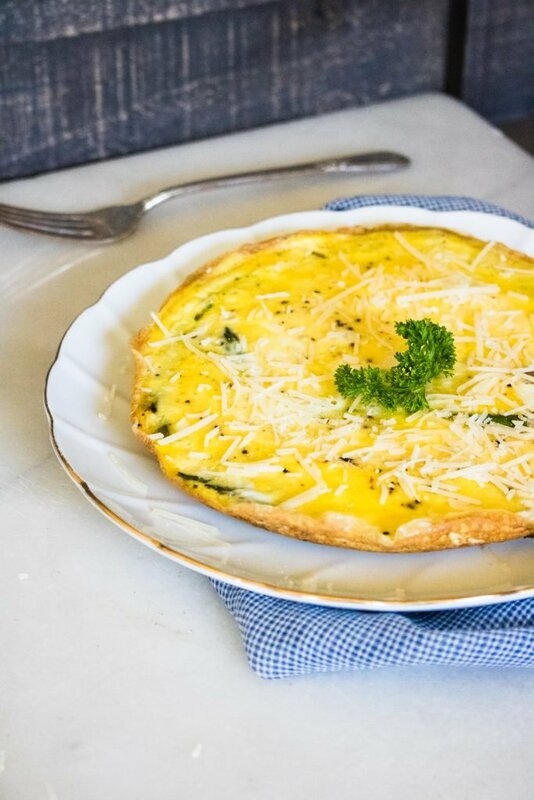 Working carefully, flip the frittata out onto a place, serving dish, or even a cutting board. Top side up will look prettier, but the bottom side up will have the veggies visible, as seen in our photos. Garnish with shredded Parmesan and serve immediately. If you'd like a heartier version, add in a 1/2 cup of chopped ham. Welcome to #BrunchWeek 2018 hosted by Love and Confections and A Kitchen Hoor’s Adventures! This year is even bigger and better than ever! Thirty eight bloggers from around the country are showcasing their best brunch dishes. We have so many delicious recipes for you to enjoy throughout the week (over 150!!) including cocktails, appetizers, pastries, tarts, main courses, and plenty of desserts! Our BrunchWeek Sponsors are helping us give away some great prizes. Thank you so much, Sponsors, for your generosity. We have an incredible giveaway below and we’d love if you would take a moment to read about it and what you can win! Prize #4 Cal-Organic Farms is giving one winner a Cal-Organic prize package complete with kitchen supplies, a portable cooler bag and branded apparel—everything you need to take your delicious #BrunchWeek recipes on-the-go! The package includes a custom-made Tilit apron, cooler bag, kitchen knife, vegetable peeler, t-shirt, hat, notepad and pen.Cal-Organic Farms is the largest organic vegetable producer in the United States. Supplying more than 65 year-round and seasonal varieties, we are proud to grow 100% of our produce on family-owned acreage in California. 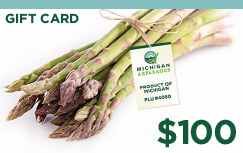 Prize #5 Michigan Asparagus is giving one winner $100 cash gift card.Michigan Asparagus is known for its hand snapped fresh asparagus. It is available May – June and grown mostly in Oceana County along the shores of Lake Michigan. Remember to buy U.S. for the freshest of the fresh. Prize #7 Cento Fine Foods is giving one winner a Cento Classico gift basket, which contains imported products from Cento and their family of brands.Cento Fine Foods, the premier Italian food distributor, importer and producer in the United States, presents a distinctive line of more than 1,000 authentic Italian style products produced from only the finest ingredients. A family owned and operated company spanning three generations, Cento continues to provide premium quality, exceptional products at the best consumer value. Taste the difference quality makes and see why you can “Trust Your Family With Our Family Ò”. Fritattas are such a great dish to cook and serve for brunch. I love asparagus and eggs together. I can’t wait to try this out! Thank you for sharing at Fiesta Friday this week!